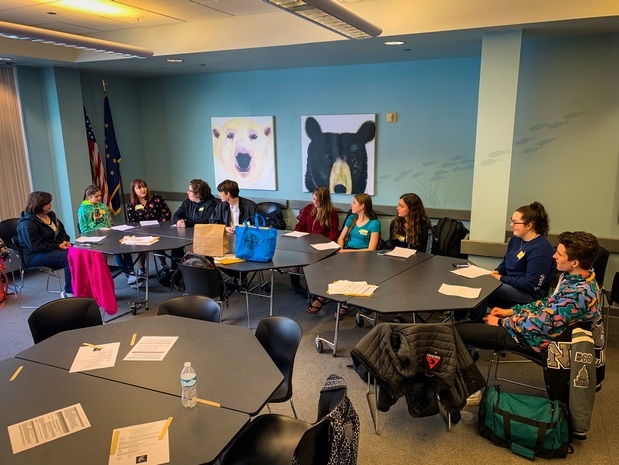 More than 50 students from Kenai Peninsula Borough School District schools gathered for the districtwide student council conference March 4, 2019, held at the Alaska Sea Life Center in Seward, Alaska. 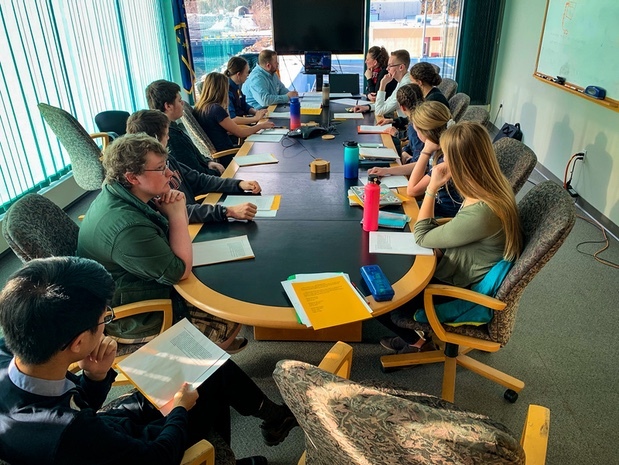 Students arrived in Seward for this annual in-person conference from Homer, Kenai, River City, Nanwalek, Nikiski, Seward, Soldotna, and remotely via videoconferencing with Susan B. English students form Seldovia. Congratulations to the students elected to district leadership positions in the 2019-2020 school year! 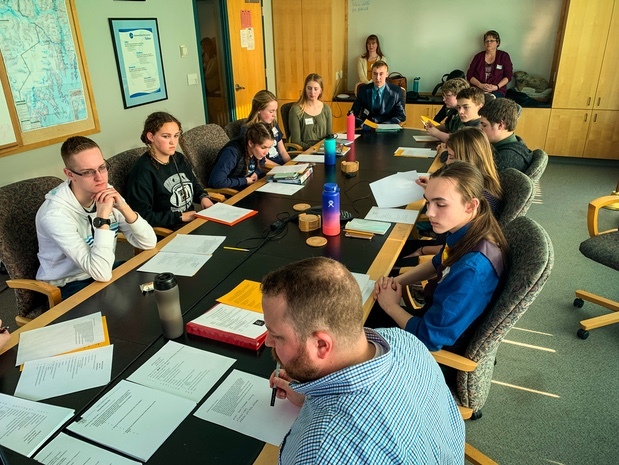 Seward’s Micheley Kowalski-Stewart leads a breakout session “Coping with Stress.” 2019 Borough-Wide Student Council Meeting. Students learn Parliamentary Procedures at “Getting Involved in Local Government” breakout session lead by Seward’s Ristine Cassagranda. 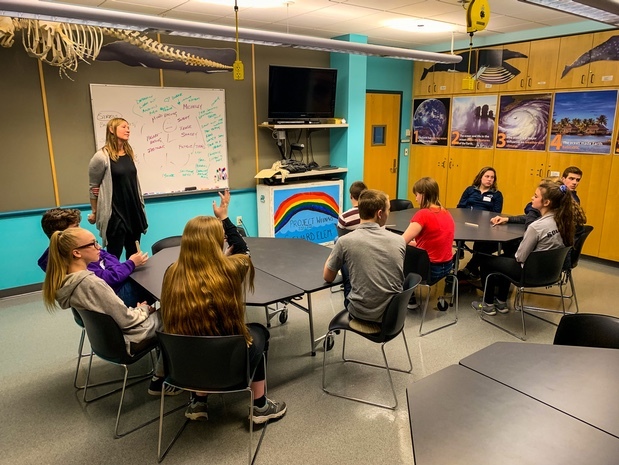 Huge thanks to the Alaska Sea Life Center for opening their facility, to KPBSD, for the 2019 Borough-Wide Student Council Meeting. Susan B English remotely contributing to the Student Advisory Board at the Borough-Wide Student Council Meeting.